Everyone’s putting out best-of lists, and they’re all pretty much the same. My personal favorite review site (other than Savant) is The DVD Journal. Their new list is up, with a good rundown of the mainstream highlights of last year. I counted. I only own two of those discs. Why? Because the movies are so familiar, seen so often, all I have to do to view them is close my eyes and watch them play on the insides of my eyelids. The most remarkable movie experiences of the year were two special screenings, the American Cinematheque’s return showing of Wim Wender’s three-movie version of Until the End of the World; and the L.A. County Museum’s screening of the new German reconstruction of Metropolis. Both represent the present bookends of classic Sci-Fi to Savant; Until gave me the opportunity to take my whole family to repeat the 1997 experience that I thought might never be possible again. Metropolis was a different kind of revelation. Until this digital presentation, I’d never seen Fritz Lang’s monumental wonderment in anything but a fuzzy, shaky fragment of its real self. Hopefully both will eventually surface on DVD; Metropolis is a much more practical possibility. Black Narcissus still knocks me out – how did a film about the problems of Nuns in an Indian convent get to be such a visually emotional experience? 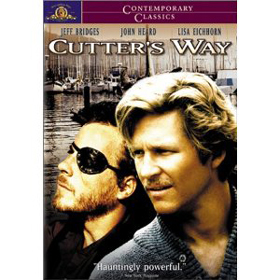 Cutter’s Way is still the best movie about the fallout of Vietnam, the malaise. Savant spent his early 20s with milder versions of Alex Cutter and Richard Bone. I also still feel that my take of the film, as a version of Hamlet is valid. 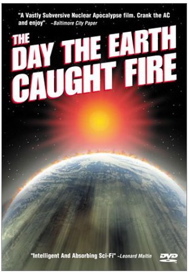 The Day the Earth Caught Fire joins Quatermass 2 and These Are The Damned as the best English Science Fiction films ever; the DVD is a visual stunner, for the first time in 2:35 on video. I Know Where I’m Going! is the most romantic movie in Savant’s personal hierarchy, and this DVD is the perfect date picture. If you ignore the rest of my recommendations, and aren’t a confirmed cynic, this remains a mandatory title. The Intruder surprised Savant by making it obvious that Roger Corman could have been a major director of non-genre movies – it’s intelligent, brilliantly directed, and is as daring a bit of cinematic subterfuge as was ever perpetrated on an unknowing amateur cast. Kramer vs. Kramer is an almost flawless disc of an almost perfect movie. This is a personal-itch title: Savant cut the docu on the disc and it’s the best one I’ve done this year – the interviews with ‘difficult’ stars are just excellent. 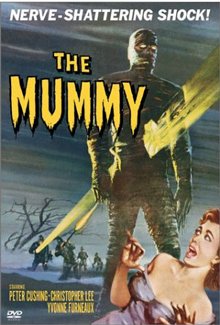 The Mummy bursts forward in 16:9, with Technicolor mud dripping from his clutching hands. 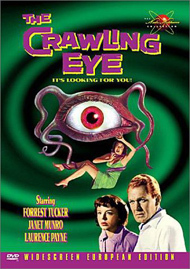 The first classic Hammer Horror to find its way to DVD, this is also one of the best, and Warners gave it a quiet release that resulted in little attention and precious few reviews. Well, Savant will just have to yell louder. Ordet is the rare film about faith and miracles with the gravity and integrity to back up its emotional wallop. A slow and difficult ride, this Danish drama makes Breaking the Waves seem trivial by comparison. An art film that rewards your efforts by proving to you that you have human feelings. 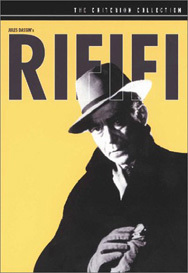 Rififi is a Euro Noir by an expatriate American Noir director. One of the original heist capers, and perhaps the most tense. The sensual atmosphere is so intoxicating, it feels like you’ve been transported back in time to France in 1954. Soldier of Orange is the Paul Verhoeven epic that promised so much from him; it has a few of the gross-out details that seem to be the key subject matter of many of his other films, but it tells its good story so well, you’d think the Dutch director was unstoppable. Stirring and adult WW2 spy thrills, and great music too. Two Lane Blacktop (a reissue) is the road picture that delivered on the shallow claims of the Easy Rider generation. The saga of two drag-racing nomads drifting East across America oozes texture and context and the car-culture mentality. And it’s great looking in Techniscope widescreen. The VCI Bava Box opened my eyes with its combo of two Mario Bava gothics, and the world’s first fully-developed giallo. We’re still waiting for a better version of Kill, Baby, Kill!, but The Whip and the Body makes Dahlia Lavi into an even more expressive Barbara Steele, and Blood and Black Lace turns a slasher story into delirious art. There also need to be mentioned some discs that were outstanding from a restoration or revival point-of-view. Sometimes the major restorations of these films weren’t even mentioned on their packaging. In just five years, DVDs have far surpassed Laserdiscs in the number and significance of films restored to original versions. The Crawling Eye turned out to be a stunning BFI copy of its original UK version called The Trollenberg Terror. Only a few frames needed to be restored, but the visual improvement of this disc will hopefully get this unappreciated gem the recognition it deserves. The Flesh and the Fiends brought back this rarely shown, major Peter Cushing film about body snatchers. But amazingly, the disc offers both the standard and the saucy European-export version, allowing us to see for ourselves an example of a legendary marketing practice. Incubus almost had no right to be recovered at all -its producer left it at the CFI lab vault for two decades and expected it to be there when he went back! It’s a great bizarro movie that really works, acted in the Esperanto language and starring William Shatner … and the commentary and interviews included tell an even creepier back story. 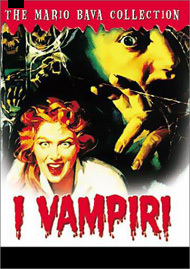 I Vampiri is yet another title Savant never expected to see intact, and 2001’s DVD restores it to perfect condition, with an original Italian soundtrack as well. It’s just amazing what they dug up this time: the original Eurohorror film itself. 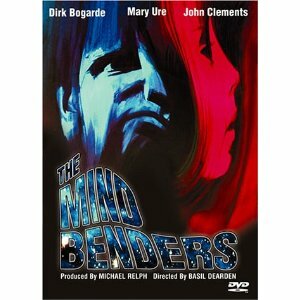 The Mind Benders is a serious English film that in the States we’ve never seen full-length. The new DVD restores a full reel of trims to this provocative movie about brainwashing research. 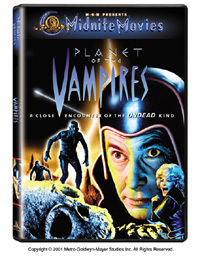 Planet of the Vampires is another Mario Bava gem that’s always looked cramped and cropped. Now its slick surfaces and multicolored fogs once again create an oppressive visual environment. 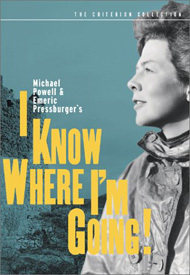 The DVD is in English only, but several Italian minutes have been added. Best of all, Orion’s cheap synthesizer score has been replaced with the original Italian cues. The Tiger of Eschnapur & The Indian Tomb are a massive, exotic adventure told in serial-fashion across two features; this colorful pair of releases are presented in exquisite color transfers. And Debra Paget’s temple dance with her famous ‘torpedo thighs’ is undoubtedly the best of its kind. Fritz Lang’s career came full circle with this and its companion feature The Thousand Eyes of Dr. Mabuse and now all three are finally available. The Wicker Man is a classic that was buried and butchered before it got even a chance to reap the rewards it deserved; in 2001 it was finally released in two DVD versions. The standard American release isn’t bad, and a second longer cut adds critical scenes harvested from an inferior but watchable source. If ever people tell you that horror films have bad scripts, this is the title to show them. The unique music alone makes this rich film unforgettable. 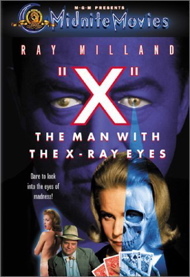 X-The Man with the X-Ray Eyes has no additional footage and isn’t a rare film, but the visual improvement of the new DVD over all previous video versions is like eyewash. Roger Corman’s most successful Science Fiction film never seemed more profound, and its visuals, even the much-maligned special effects, never as impressive. Well, these are the titles that knocked Savant out this year – hardly a blockbuster or a mainstream disc among them. Of course there were socko big releases like Lawrence of Arabia … Savant’s nose just leads him to the noteworthy underdogs. Let’s hope 2002 brings on even more surprises; DVDs are just getting better and better. 1. Trying hard not to polarize himself or his writing, Savant has still found it difficult to find peace of mind in the frightening new age of politics, post-WTC. The holidays are muted even for those fortunate not to have family personally affected, and for those who were, the promises of the new millennium must have an entirely different meaning. Savant likes to express himself and his thoughts on political subjects, yet has tried to restrict himself to the subject matter you come here to read, namely DVDs. I thank those readers who’ve taken exception to my opinions and yet stuck it out. 2. Rumor has it that for DVD, MGM may be doing a restoration of The Vampire Lovers even more extensive than the version released on VHS last year.